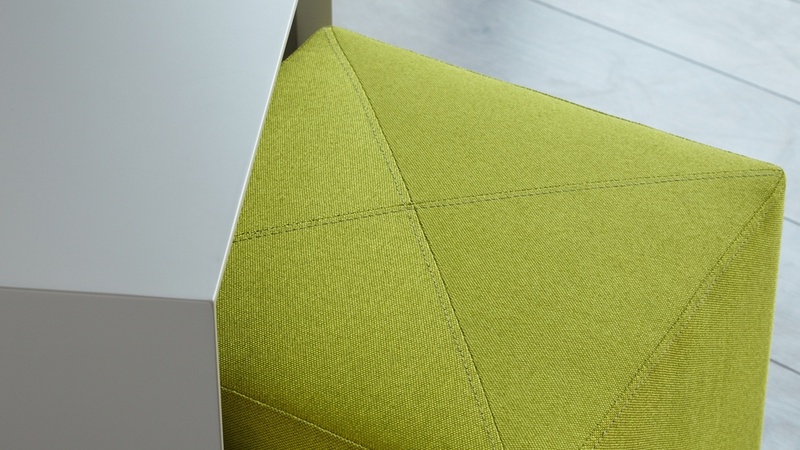 Add a zesty pop of colour to your home with the Duo Matt Grey Side Table and Lime Fabric Stool Set. 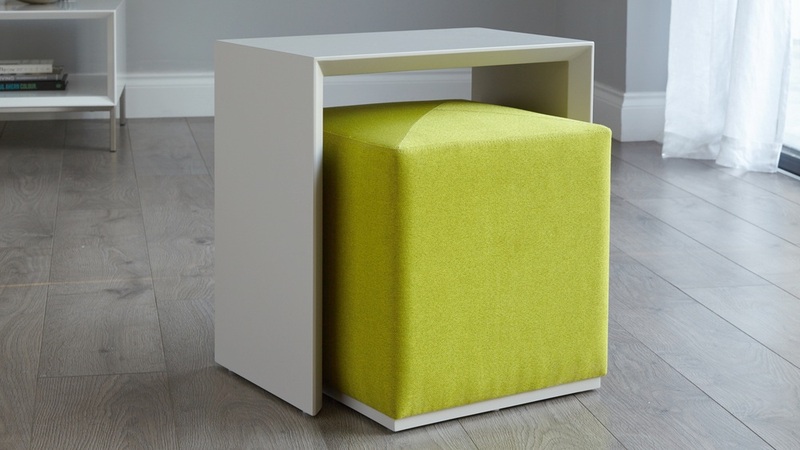 This modern side table and footstool combination provides both seating, styling and storage space, making this piece as practical as it is good-looking! 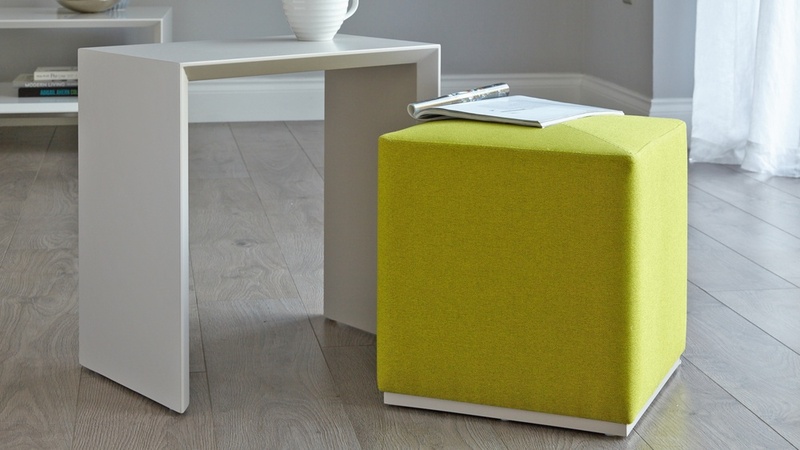 The Duo set comes with one upholstered footstool and one coordinating side table.The stool fabric in lime green adds a pop of colour to complement the matt light grey side table and is a simple but effective way to add some colour to your space. 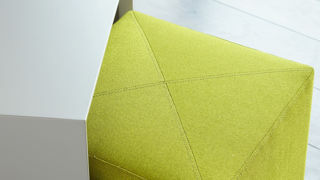 The shape and form of this set means that the fabric stool neatly fits inside of the side table. This is so that the set has a soft overall look but it is also practical because you can use the two pieces separately. The top of the stool is firm enough to hold any bits and bobs like magazines, books or remotes helping to keep your space looking neat and tidy. A subtle but effective detail on this set is the 45 degree mitre on the side table. This gives the set a really nice, clean-lined finish along with a premium look of designer detailing. 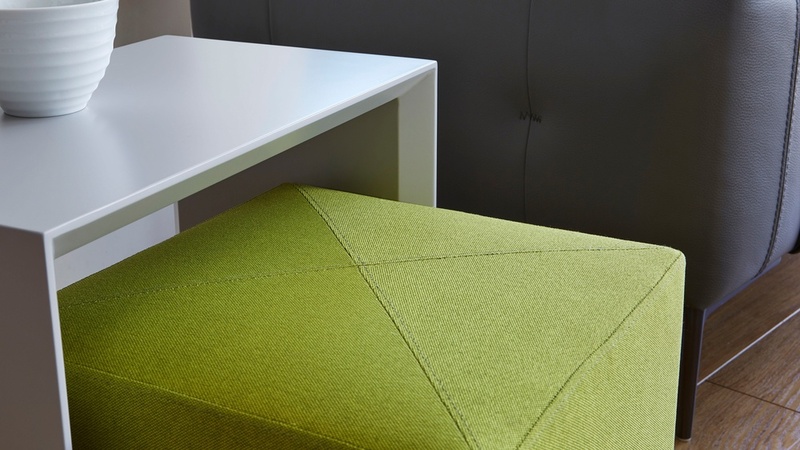 There are many possible uses for the stool, such as an extra perch when you've got family and friends around, as a footrest to sit back with your feet up, or even as a small bedside table. This makes the set both incredibly useful and versatile. Both the footrest and side table have built in floor protectors. This means that the Duo would work equally well on hard floors or carpeted areas, allows for ease of movement and to protect your floor. If you like the look of this set, why not take a look at the Duo Walnut Side Table and Graphite Grey or Duo White Gloss Side Table and Silver Grey Fabric Stool Set to find a colour combination that works best for you! 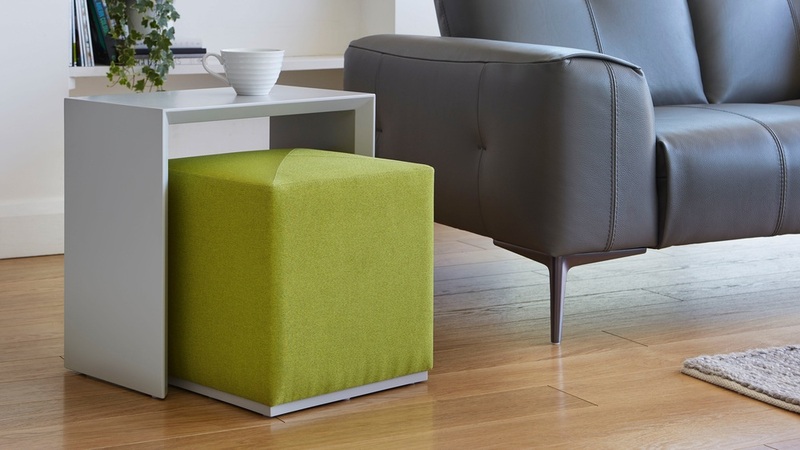 The Duo Matt Grey Side Table and Lime Fabric Stool Set is such a handy set to have in your home. It’s a side table, stool, footrest and bedside table all combined into one compact and designer looking piece. 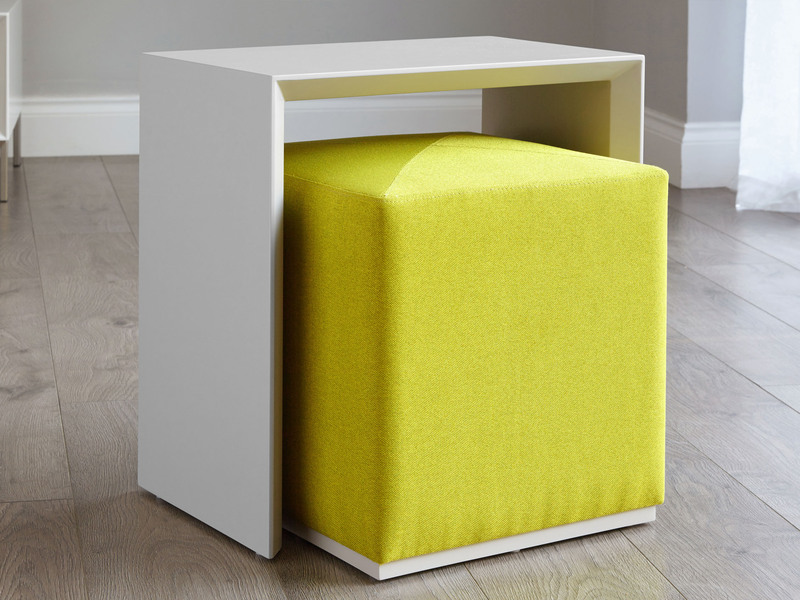 The stool not only looks great tucked under the side table, but it also has a firmer sit which has been designed for occasional use rather than all the time. This is a great feature as with a firmer comfort level, it’s still useful but won’t look saggy. Being able to separate the two pieces is also very useful as you can move and style them to suit your needs, in whichever room you want them.